Los Angeles, Calif., Nov 30, 2017 / 03:00 pm (CNA/EWTN News).- In preparation for the first Sunday of Advent, the Archbishop of Los Angeles has said the season is a time to spiritually “stay woke,” shaking off apathy and becoming more aware of God’s presence. 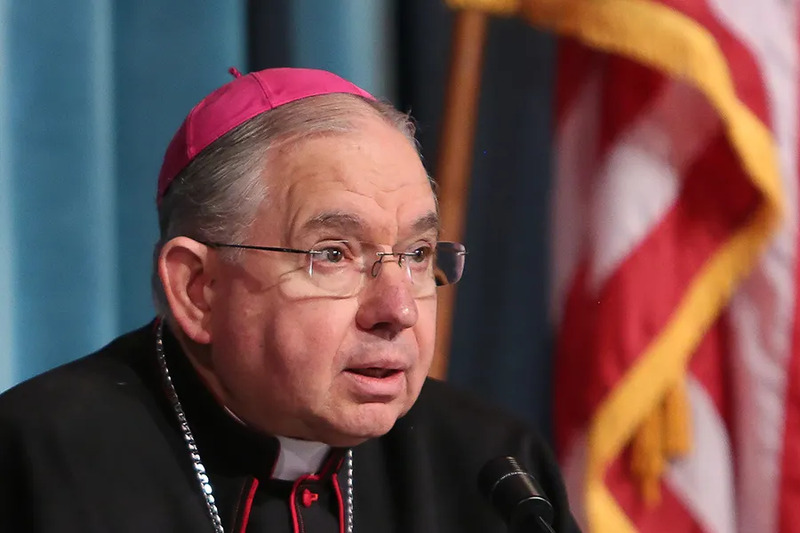 “My prayer for us this year is that we will make this Advent a spiritual adventure of living with a new awareness of the presence of God,” said Archbishop José Gomez in a Nov. 28 column. The archbishop explained that Advent is a time of waiting for the coming of Christ at Christmas, but it is also an opportunity for God to draw closer to his people in relationship, noting this desire of God to be close to creation is a unique aspect of Christianity. “This is the beautiful truth we anticipate in these short weeks that lead to Christmas,” he said. Archbishop Gomez warned Christians of becoming “numb” to the presence of God. He referred to the examples in New Testament, citing the Apostles who fell asleep in the Garden of Gethsemane and servants who did not stay awake for the master’s return. This takes practice, he said and cited the example of the recently beatified Blessed Solanus Casey. The archbishop said that although many miracles have been attributed to the Capuchin priest, they weren’t what made him holy. Rather, it was his desire to serve God constantly, and to find God in the present. “This is our purpose in life – to be faithful to the present moment. When we are ‘awake’ to God’s presence, our hearts are open to doing his will and living according to his loving plan for us. And he has created us to do great things,” he said. Archbishop Gomez called on Catholics to pray to be made more aware of God’s unlimited love and to understand that the person is most alive in this love. Indianapolis, Ind., Jul 18, 2017 / 03:04 am (CNA/EWTN News).- Many couples spend thousands of dollars on their dream wedding. But what happens when you have to call it all off? Faced with the question that no bride or groom would ever want to answer, Sarah Cummins and Logan Araujo had to decide what to do with the $30,000 non-refundable wedding reception they were left with after calling off their wedding for undisclosed reasons. “It was really devastating,” Cummins told the IndyStar. And besides getting some money back on the photographer, everything else seemed like sunk cost. 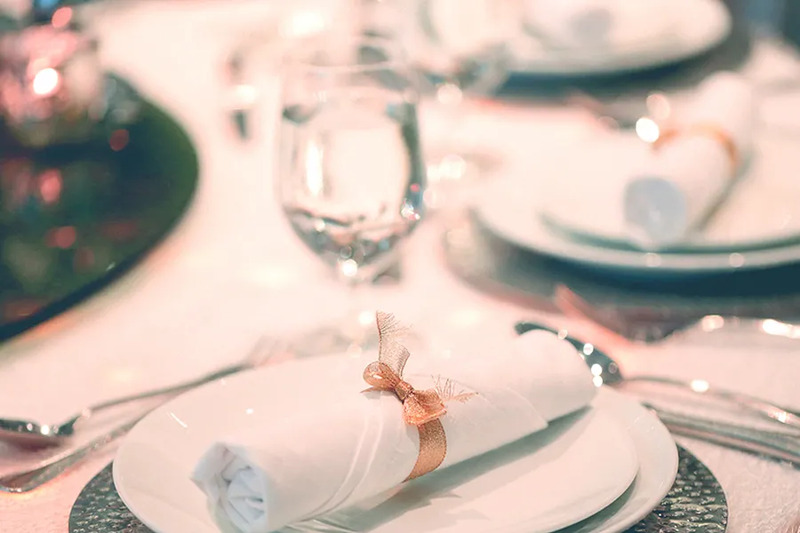 “I called everyone, canceled, apologized, cried, called vendors, cried some more and then I started feeling really sick about just throwing away all the food I ordered for the reception,” she said. After checking with Araujo, Cummins decided to invite people from four local homeless shelters to enjoy a fancy dinner and reception at the Ritz Charles in Carmel, Indiana, a suburb of Indianapolis. She hoped to fill the 170 spots they had reserved for guests. She even arranged bus transportation to the venue from the various shelters, and greeted the guests as they arrived. She almost didn’t go, thinking it might be too painful, but changed her mind after one of the homeless program directors said they couldn’t wait to meet her. Cummins’ mother, along with some of her would-be bridesmaids, were also in attendance. The guests dressed in their best and dined on the on hors d’oeuvres of bourbon-glazed meatballs, goat cheese and roasted garlic bruschetta, and the main dish of chicken breast with artichokes and Chardonnay cream sauce. Cummins’ generosity inspired others, including Matt Guanzon of Indianapolis, who donated some suits from his own closet and recruited others to do the same, including a tailor and a gown shop, which contributed suits, dresses, and accessories. Not much had changed about the routine of the reception, besides cutting the cake in the kitchen, and removing the head table. Ritz center development director Cheryl Herzog was so touched by Cummins’ generosity that she reached out to the IndyStar about the story. “It’s just a really great opportunity for us, that was going to be a huge tragedy in her life,” he said. Washington D.C., Apr 19, 2018 / 03:09 pm (CNA/EWTN News).- At the U.S. Commission on International Religious Freedom Summit on Wednesday, Robert George shared five steps Catholics can take to support religious freedom at home and abroad. “We need to remember we are our brother’s keepers,” George, a Princeton professor who has twice served as chairman of the commission, told CNA. “That is true whether our brother is someone here at home who is being persecuted and discriminated against or whether that person is in the Sudan or in Syria or Iran or in Vietnam or in China or in North Korea,” he continued. The U.S. Commission on International Religious Freedom (USCIRF) marked the 20th anniversary of the International Religious Freedom Act this year with a summit in Washington, D.C., focusing on the challenges and progress made in the state of religious freedom around the world. USCIRF is a bipartisan federal commission that monitors global religious freedom violations. “Whenever I speak about international religious freedom across the country, people always ask me what they can do to help. I always tell them first, to pray,” said current USCIRF Chairman Daniel Mark in his closing remarks at the summit April 18. “First, pray … I want to second that motion,” George told CNA. The first step Catholics must take to address violations of religious freedom is prayer. Finally, George recommends that religious leaders and communities work together for their shared values. He encourages leaders across historic, theological, and religious divides to communicate and to work together to make a positive impact on civil society. Former USCIRF chairs Katrina Lantos Swett, Leonard Leo, and David Saperstein spoke on a panel along with George about the current state of international religious freedom. The panel discussed current threats to religious freedom posed by non-state actors abroad, such as al-Qaeda, the Islamic State, and al-Shabaab. The mistreatment of Rohingya Muslims in Burma and the Uyghurs in China were also highlighted. 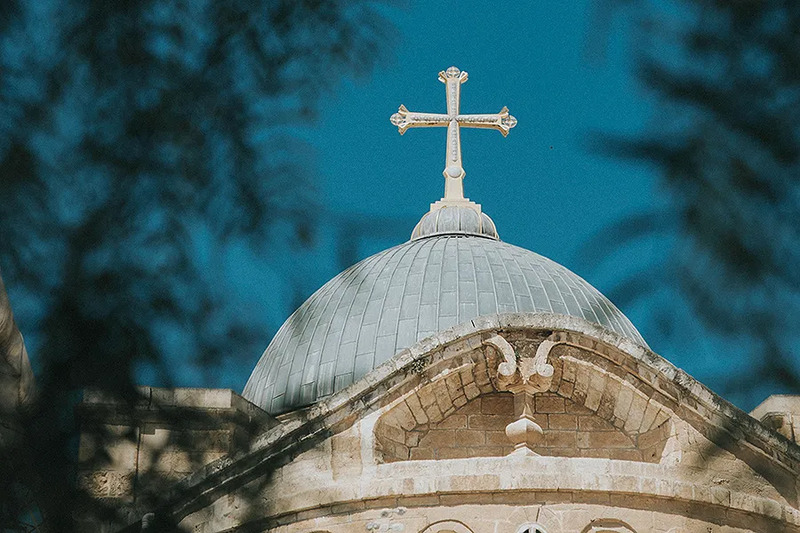 “While we focus on extinguishing the flames of sectarian conflict and oppression in countries like these, we cannot ignore the less-physical deeply religious freedom violations in our own backyard,” said Leonard Leo, who served as the USCIRF chair from 2009 – 2007. “To maintain our standing in the world as a beacon against oppression, we also must put our own house in order by addressing subtler forms of coercion,” continued Leo. George told CNA after the panel that the U.S. currently faces serious religious freedom challenges. Washington D.C., Mar 26, 2017 / 08:01 am (CNA/EWTN News).- Bishop Patrick James Byrne was born in the United States, but he died on a forced march in the harsh Korean snows under the watch of communist soldiers. Now the Catholic bishops of South Korea are considering whether he should beatified among a group of Korean martyrs. As a newly ordained priest in 1915, Bishop Byrne joined the Maryknoll Society, just four years after its founding. He led the society’s mission to Korea in the early 1920s, and he served as prefect apostolic of Pyongyang from 1927 to 1929. In the 1930s he was transferred to Japan, and during World War II he was held under house arrest. After the war’s conclusion, he was named the first apostolic delegate to Korea, in April 1949. He was promptly ordained a bishop, at the age of 60. His ordination came at a portentous moment early in the Cold War. Korea was splitting between the North Korean communists, backed by China and the Soviet Union, and the U.S.-backed South Korea. With the rise of communism in northern Korea, many of the Catholics in the north, including Maryknoll clergy, had to escape to the south in order to continue to practice their Catholic faith. 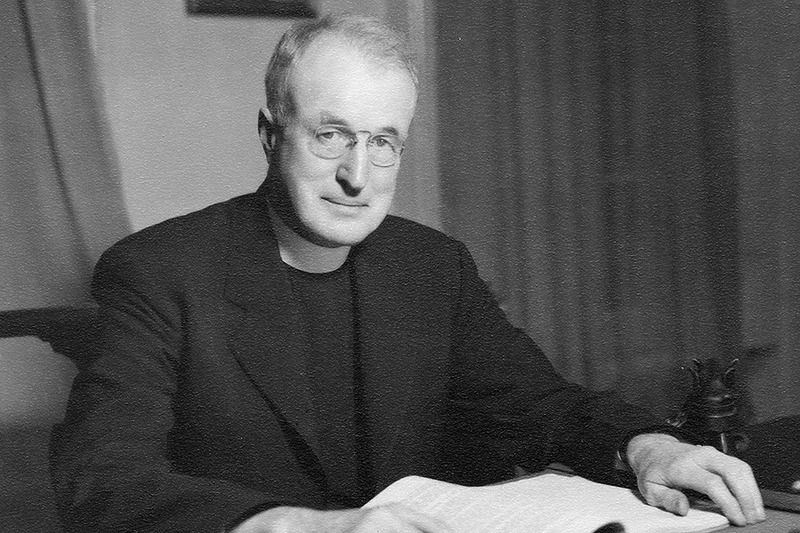 In July 1950, after the capture of Seoul by North Korean forces, Bishop Byrne was arrested by communists and put on trial. According to Glenn D. Kittler’s history “The Maryknoll Fathers,” he was threatened with death if he did not denounce the U.S., the United Nations, and the Vatican. He refused. He and other priests were put on several forced marches with Korean men and women and captured American soldiers. Bishop Byrne was known for trying to help others on the marches through the cold, wet Korean weather, Fr. Finch said. Aiding others was risky. Some of the prisoners were shot for dropping out of line, while others were executed for aiding those who had become immobilized. Nonetheless, the bishop would help others. At one point he gave his entire blanket to a Methodist missionary who was suffering worse than he. During a four-month-long forced march, suffering from bad weather and a lack of food and shelter, he began to succumb to pneumonia at Chunggan-up, not far from the Yalu River on the border with China. “After the privilege of my priesthood, I regard this privilege of having suffered for Christ with all of you as the greatest of my life,” he told his companions. He received absolution from his secretary, Father William Booth, the bishop’s biography at the Maryknoll Mission Archives website says. He died Nov. 25, 1950. News of his death took two years to reach the world, when U.N. prison camp inspectors found survivors of the march. Bishop Byrne was buried by Msgr. Thomas Quinlan, an Irish-born Columban Father who placed his own cassock on the bishop. The monsignor was later named Bishop of Chunchon, South Korea. Now, a special commission of South Korean bishops has begun a process that could make Bishop Byrne a candidate for beatification. The bishops have grouped him with Bishop Francis Borgia Hong Yong-ho of Pyongyang and 80 companions, who were killed in persecutions from 1901 to the mid-20th century. Fr. Finch said the launch of the beatification process for Bishop Byrne was “a tremendous honor” and showed he was an example for the Maryknoll Society to follow. Other victims of the Korean conflict include Maryknoll Sisters like Sister Agneta Chang, who was kidnapped by the communist military in late 1950 and is believed to have been martyred. “I believe they never found her body,” Fr. Finch said. While the context of the conflict was very difficult, it led to “tremendous Church growth” in South Korea after the war from people who were dedicated to the Church. “Korea is one of the tremendous success stories of Asia: a Church that started out with 20-25,000 of people of the faith at the start of the last century and ended up with 10 percent of the population today,” Fr. Finch told CNA. Sensitivity builds – numbness destroys.